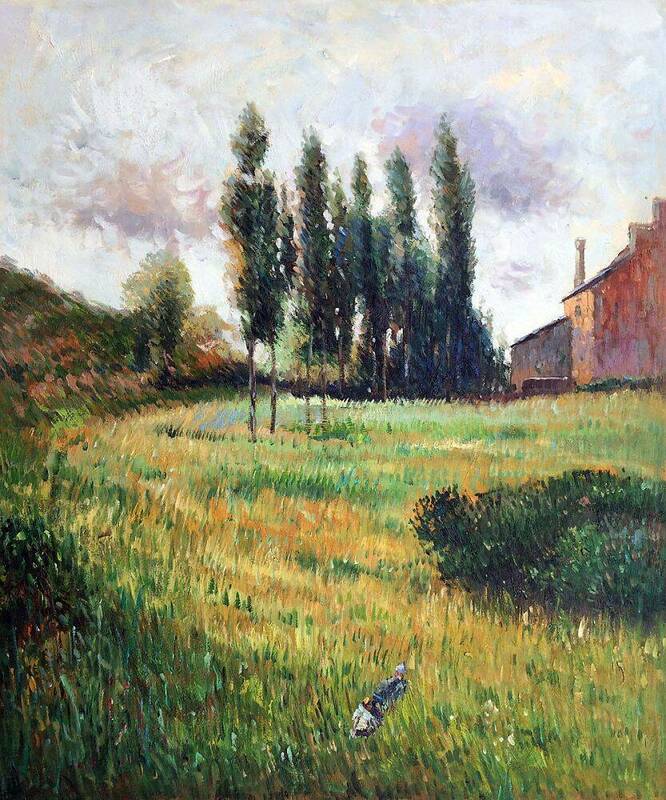 Though painted in 1888, this image was made prior to Paul Gauguin's stay with Vincent van Gogh later that year. 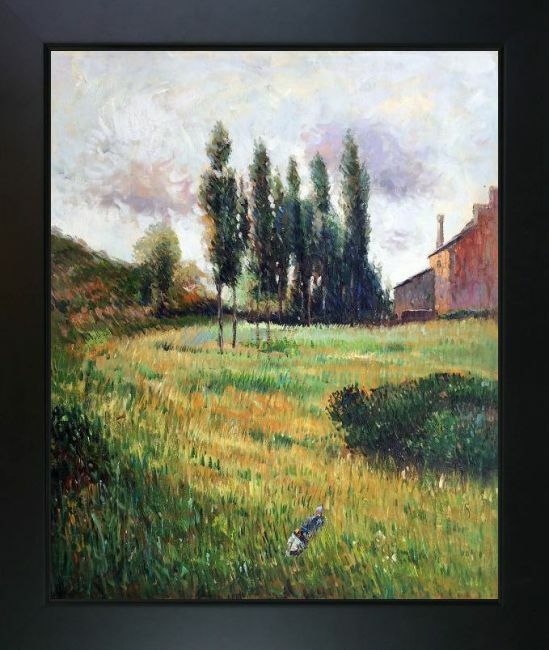 It's one of about thirty pictures he made between January and October of that year, a period he spent living near the Aven river in Brittany. 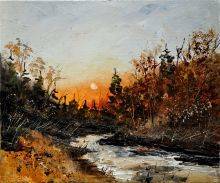 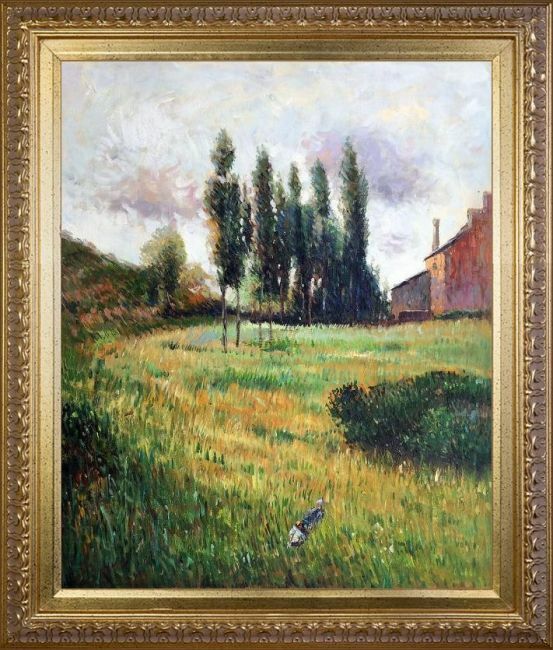 The rural subject matter is reminiscent of the work of his early mentor Camille Pissarro, while the thinly-layered and delicately brushed paint recalls that of Monet. 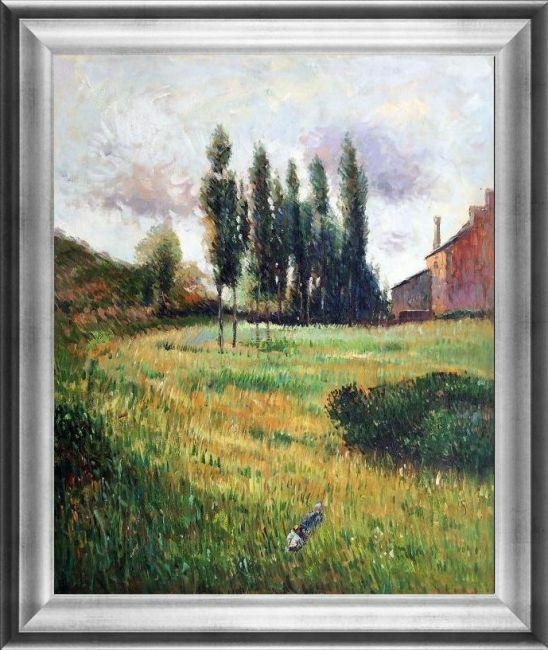 The colors and perspective are quite naturalistic, as opposed to most of the work he was to produce after visiting van Gogh. 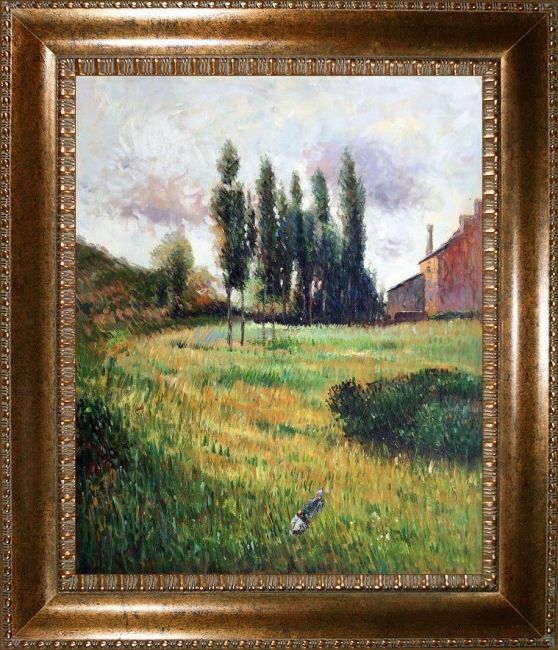 Bring some of the idyllic beauty of the French countryside into your home with this handmade reproduction of one of Gauguin's well-loved oil paintings. 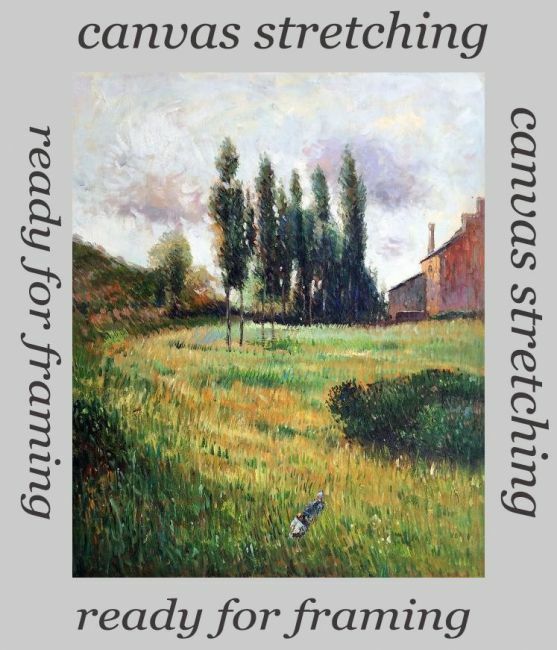 Color Palette for Dogs Running in a Meadow, 1888 is empty.